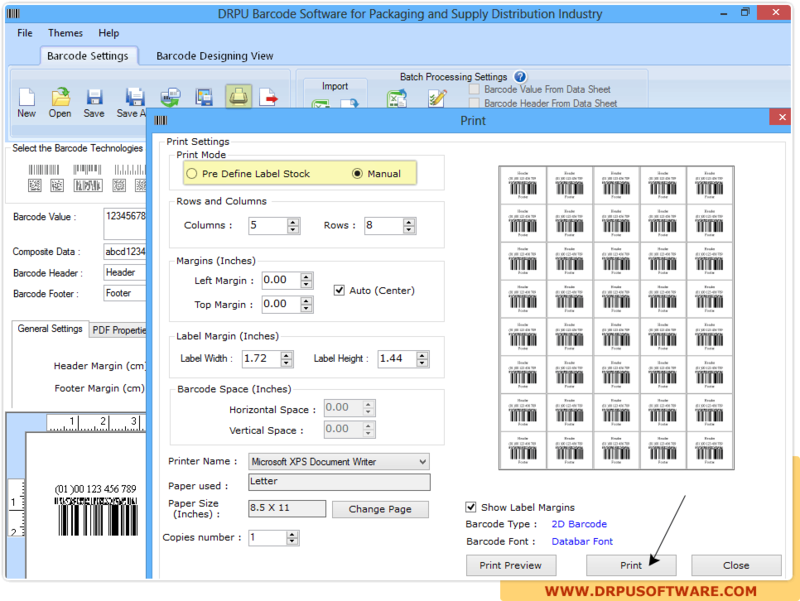 Click on "Barcode Settings", choose Barcode Technology (Linear and 2D) and Barcode font. 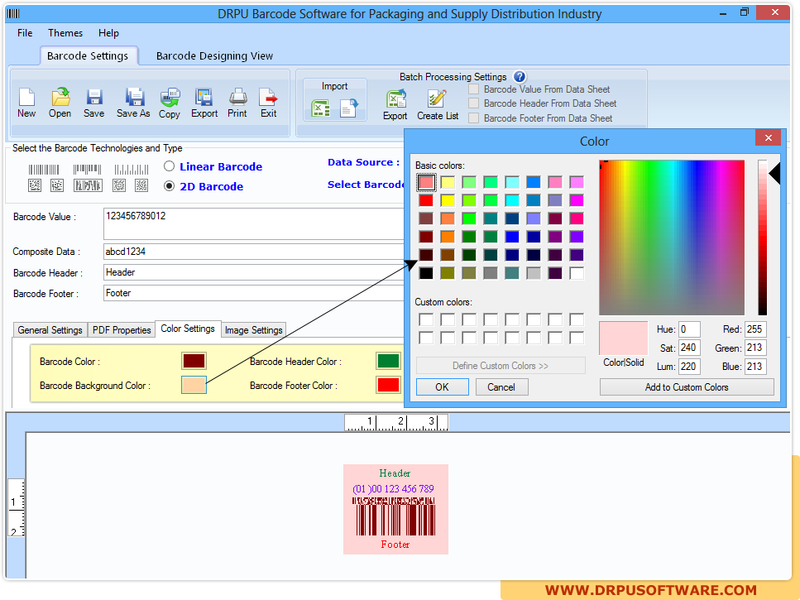 Using "Color Settings" tab, you can specify barcode color, barcode header color , barcode footer color and barcode value color as per your need. Select Print settings options (Pre Define Label Stock or Manual) and adjust barcode labels as per requirement.